RESEARCHERS IN BOSTON and New York have called on countries to work harder to protect children from harmful everyday toxins which are linked to brain development disorders. A new review, written by two of the world’s leading experts on the link between environment and children’s health and published in the Lancet Neurology today, sounds an alarm on the dangers of industrial chemicals that are found in ordinary items such as clothes, furniture and toys. The doctors have urged governments to transform their chemical risk-assessment procedures in order to protect children from everyday toxins that may be causing a global “silent epidemic” of brain development disorders. “The vast majority of the more than 80 000 industrial chemicals in widespread use in the USA have never been tested for their toxic effects on the developing foetus or child,” explains Dr Philippe Grandjean from the Harvard School of Public Health. Exposure to these chemicals during early development can cause brain injury at levels much lower than those affecting adults, and the real impact on children’s health is just beginning to be uncovered. A review undertaken over seven years has thrown up some worrying results. Between 2006 and 2013*, the number of recognised chemical causes of neurodevelopmental disorders has doubled from six to 12. The list of chemicals known to damage the human brain – but are not regulated to protect children’s health – has also grown from 202 to 214. “Current chemical regulations are woefully inadequate to safeguard children whose developing brains are uniquely vulnerable to toxic chemicals in the environment,” adds Dr Grandjean. Functional MRI scans show abnormal activation in the brain: Average activation during finger tapping with the left hand in three adolescents with increased prenatalmethylmercury exposure (A) and three control adolescents (B). The control participants activate the premotor andmotor cortices on the right, whereas participants exposed to methylmercury activate these areas bilaterally. Neurodevelopmental disorders – including autism, attention deficit disorder (ADHD), dyslexia and cerebral palsy – affect one in six children worldwide. According to the study, there is growing evidence strongly linking chemical exposures in childhood to higher rates of these neurodevelopmental disorders. The authors suggest that more stringent controls could generate billions of dollars in savings. How? Well, the yearly estimated cost of childhood lead poisoning in the US (as an example) is $50 billion. The annual spend on treatments for methylmercury toxicity is roughly $5 billion. What’s slowing down the restriction of use? The two main obstacles impeding efforts to restrict chemicals that threaten children’s health are the large gaps in testing chemicals for neurodevelopmental toxicity and the huge amount of proof required before regulation is enacted. “The only way to reduce toxic contamination is to ensure mandatory developmental neurotoxicity testing of existing and new chemicals before they come into the marketplace,” says Landrigan. The authors propose a new international prevention strategy that would put the onus on chemical producers instead of governments to demonstrate that their products are low risk. This could be done using a similar testing process to pharmaceuticals, and a new international regulatory agency to coordinate and accelerate these measures. “The total number of neurotoxic substances now recognised almost certainly represents an underestimate of the true number of developmental neurotoxicants that have been released into the global environment,” concludes Landrigan and Grandgean. *In 2006, the list included lead, methylmercury, arsenic, polychlorinated bipenyls and toluene. In 2013, that was extended to include manganese, fluoride, chlorpyrifos (a pesticide), dichlorodiphenyltrichloroethane (DDT, a pesticide), tetrachloroethylene (a solvent), and the polybrominated diphenyl ethers (flame retardants). Email “Toxins in everyday items linked with ADHD and other brain development disorders”. 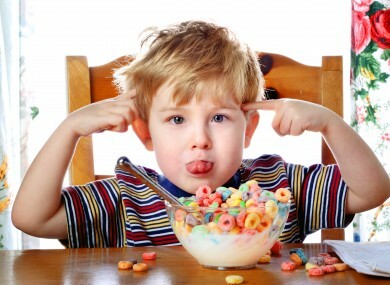 Feedback on “Toxins in everyday items linked with ADHD and other brain development disorders”.